Crystal: A solid material whose constituents (atoms, molecules, or ions) are arranged in a repeating pattern extending in three dimensions. 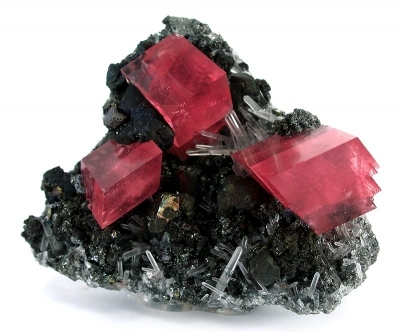 Rhodochrosite (red) is a naturally-occurring MnCO3 crystal. Quartz (colorless crystalline SiO2) is also present on this specimen. Image courtesy of Rob Lavinsky and The Arkenstone. 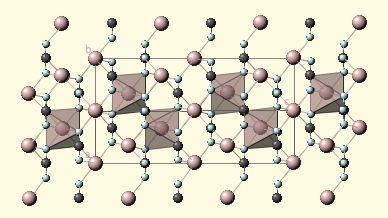 The rhodochrosite crystal structure consists of repeating Mn2+ and CO32- in a repeating three-dimensional pattern.